Listen To The Birds Sing: Start as you mean to go on! Hope you are all doing well... here on the North Coast we have been battered & blown by winter storms....the other morning we woke up with a 10ft tree at the bottom of the garden & we've no idea where it came from!! At least we fared a little better than our neighbour who's garage roof blew off! The photos are taken from the Sweetwater blog, but I'm going to make one too in the Reunion fabric (one of my favourite fabric lines). 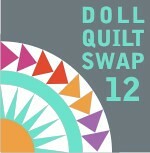 If you could pick only one new sewing project/technique you would like to accomplish in 2012 what would it be? The giveaway will be open until Sunday 5pm GMT & I'll announce the winner that evening. If you are a lovely follower please do let me know too. If you are interested, the pack is also available on the Sweetwaterscrapbook etsy site. Thanks for stopping by & I hope you all have a wonderfully creative day! What a wonderful give away! 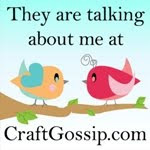 I would like to learn to fmq those fancy feathers this coming year and of course I follow your lovely blog! This year I am hoping to improve my dressmaking - and make stuff that doesn't look home-made. This is a great give-way. I didn't know Sweetwater had an Etsy store. What wonderful notebook covers, thanks for a chance. This year I'd like to some some crazy intricate quilt, something that will take forever, lots of tiny pieces, Sarah Fielke and her Material Obsession 2 might be my main inspiration. Lovely giveaway Karen, thank you for the chance. This year I would love to master paper-piecing, and of course, control of my wallet! Wow what a lovely giveaway, I would like to master free motion quilting. I am a follower. What I would learn? I think I would like to learn who to quilt from the beginning. Just to get a good foundation and not just only doing it somehow. This year I'm hoping to learn screenprinting! This year I'd really like to finally make a full size quilt (any pattern). I've only done small projects in the past. Love the journal cover kit! I am going to do something with paper piecing this year. I am a follower. what a great idea for a giveaway. This year I want to conquer more fmq'ing and not be beaten by it! I love this book cover, thanks for the chance to win it. I would like to make a quilt using Japanese quilt blocks for my friend who loves everything Japanese. What a great giveaway - thank you! I'd like to get the front and back of a quilt absolutely and completely in line with each other so that I can have a line of blocks, etc. that runs parallel to the binding...how marvellous that would be!! Oooh, I opened the page and was admiring the notebooks so I'm glad you're having a giveaway! I want to finish my nephew's quilt. Love the journal notebook. I hoping to learn how to make penny rugs and do more things with wool this year. Cute notebooks!!! I would like to learn how to do FMQ and also to put in zips this year. I love your notebook covers. I am going to improve my FMQ, not very good at resolutions either. I would love my friend Karen to show me how to make one of the lovely little fabric bags she has made and then maybe a quilt. I never did get the christmas planner finished but the two stockings were very successful.